Chances are you are using a multi-domain cPanel hosting, and you might no be aware of it. Yesterday I was sitting with a friend who happened to have a hosting account at Hostgator. He had a Baby plan that allows anyone to install the multiple websites on the same hosting account. He was unaware of it and wanted to buy a new hosting for a new website. While I was explaining to him why he doesn’t require new hosting, I realised my blog reader might not be aware of it. 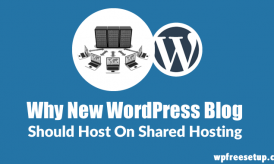 To start with, most of the reputed shared hosting companies allows you to have more than one site on your one account. That means with one account you can have 5, 10 or more websites. For example Bluehost, InMotionHosting, Hostgator to name a few. 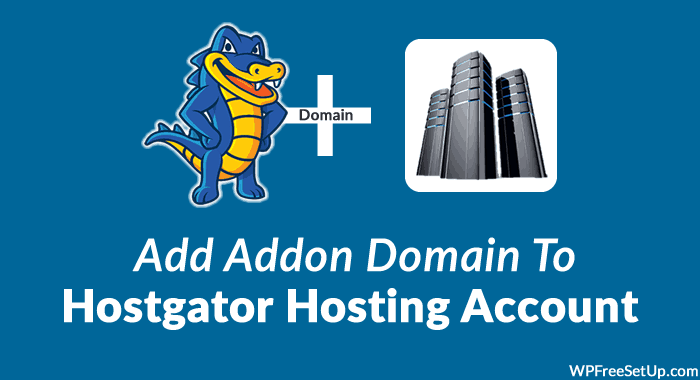 In this guide, I will be using Hostgator as an example and showing you how you can add an existing domain to your Hostgator hosting. The process will be same for almost all others cPanel hosting. In my case, I have purchased a .com domain from Godaddy for $1.99 and already updated the Nameserver to point to my Hostgator hosting. 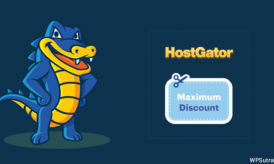 You can login to your HostGator account and get your name-server at the bottom left side. I’m assuming you already have a domain name purchased from elsewhere, and you have changed the Name-server of the domain name to point to your Hosting account. Usually, this guide is applicable on any web-hosting company that offers cPanel hosting. cPanel is the most common hosting dashboard that you get with all entry level hosting companies. 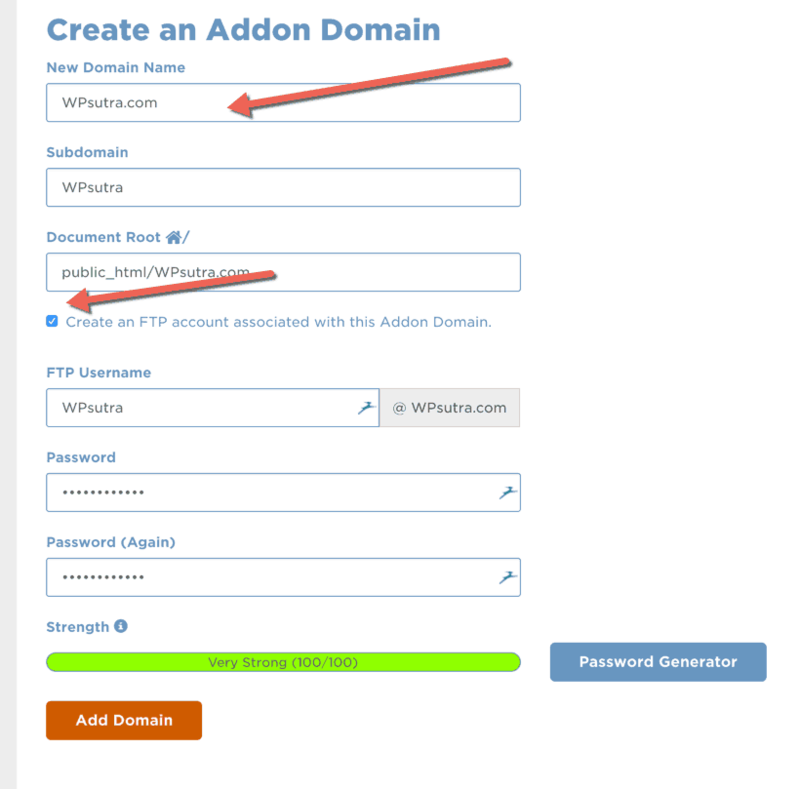 Login to your Hostgator cPanel and click on addon domains under domains field. On the addon domains page, enter your domain name in the New domain name field. It will also ask you to select a password for your FTP login. You can also change the default location of your domain. Click on add domain to complete the process. On next screen, it will show that your domain name is added, and new FTP username has been created. Don’t forget to copy and save your FTP login details. This is important as you might want to give access to this domain while sharing FTP logins with your developer or designer. That’s it, and now you have added another domain to your multi-domain web hosting. Now you can install WordPress or do any awesome thing with your domain on existing hosting. Happy to save money? Do share this post with others on Facebook and Google plus. really nice article! I was running my blog in blogger.com. But now feel really bad because blogger doesn’t provide more freedom setup in compare to WordPress. WPSutra website which is related to WordPress. 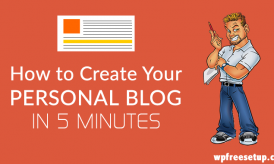 Please post a guideline easy way to migrate from blogger to WordPress.